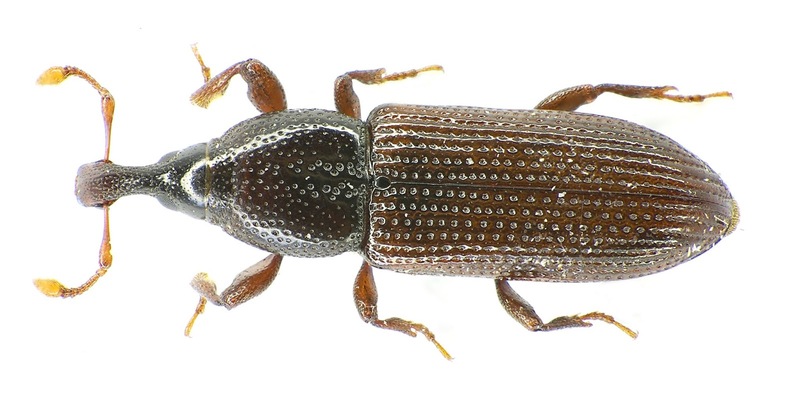 The Cossoninae are a group of elongate-bodied weevils that are borers in dead or dying wood (Marvaldi & Lanteri 2005). Characters (from Marvaldi & Lanteri 2005): Body elongate, parallel-sided, depressed. Rostrum often shorter than prothorax. All legs usually with uncinate tibiae; front tibiae with grooming device consisting of long comb of setae on apical third to half; hind tibiae lacking apical comb of setae. Tarsite 3 as wide as tarsite 2. [Mas86] Masters, G. 1886. 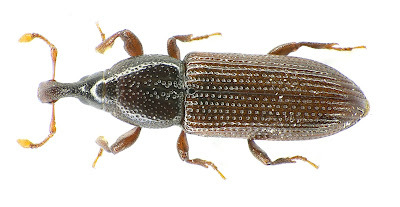 Catalogue of the described Coleoptera of Australia. Part V. Proceedings of the Linnean Society of New South Wales, series 2, 1 (3): 585–686.